Navigation:Home-Case studies, Features-Searchterm based product campaigns – best results ever! Searchterm based product campaigns – best results ever! As you know, product campaigns have very good results due to perfect keywords, landing pages and relevant traffic. And from our experience, the best results have product campaigns based on searchterms with conversions on eshop. We named them Luigi´s campaigns. The base data for these Luigi´s campaigns are searchterms that have any conversions from search on eshop. For example: user is using search on eshop, he/she will find appropriate product in search result and buy the product. 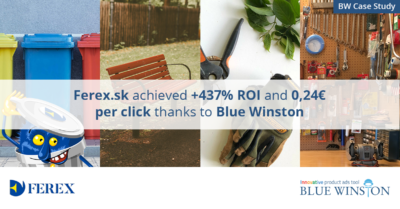 We have very unique cooperation with Luigi´s box – this online tool collects search data and automatically sends some of them via XML feed to BlueWinston. 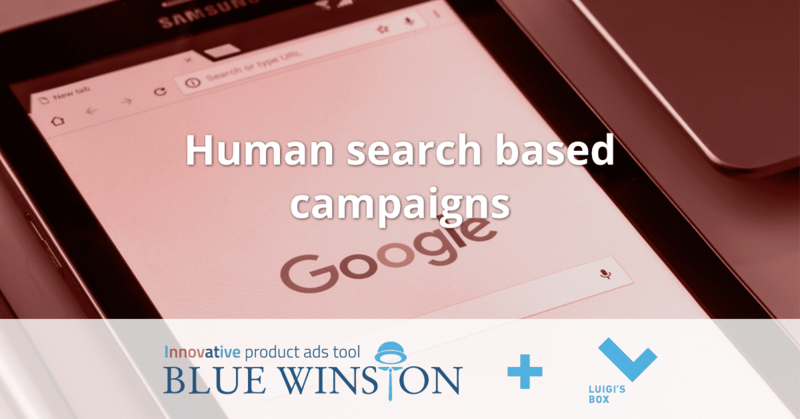 Searchterms from Luigi´s box are used for keywords creation and automatically transfered into your AdWords thanks to BlueWinston’s programmatic tool. 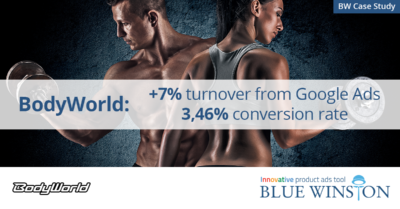 Results form these campaigns are very good, often even better than from usual product campaigns. Why are these results so good? The main reason is that these campaigns are based on real, human search on eshop. Only search results from humans and with conversions are used for these campaigns. These campaigns have higher conversion rate, lower CPA and lower bounce rate. What we need to start with Luigi´s campaigns? It is very simple to start with Luigi´s product campaigns. You need only to implement short piece of code to your eshop and right after that Luigi´s box will start to collect search data. You can ask us for this short script or directly staff of Luigi´s box. Then we can create Luigi´s product campaigns, for free. Right after ready, we will notify you and you can check & run prepared campaigns. As volume of data will grow, also traffic from Luigi´s campaigns will rise. What is the price for Luigi´s human search based campaigns creation? There is a free testing period for one month from Luigi´s box and also from BlueWinston. You can freely use both of these services during first month, with no charge. Ecommerce marketers appreciate that we can create few pilot campaigns for free. These product campaigns are then fully prepared to check and run. So, from your side there is a minimum of work, much of work is on our side. We can prepare campaigns using our experience, for no cost on your side. What data collects Luigi´s box? 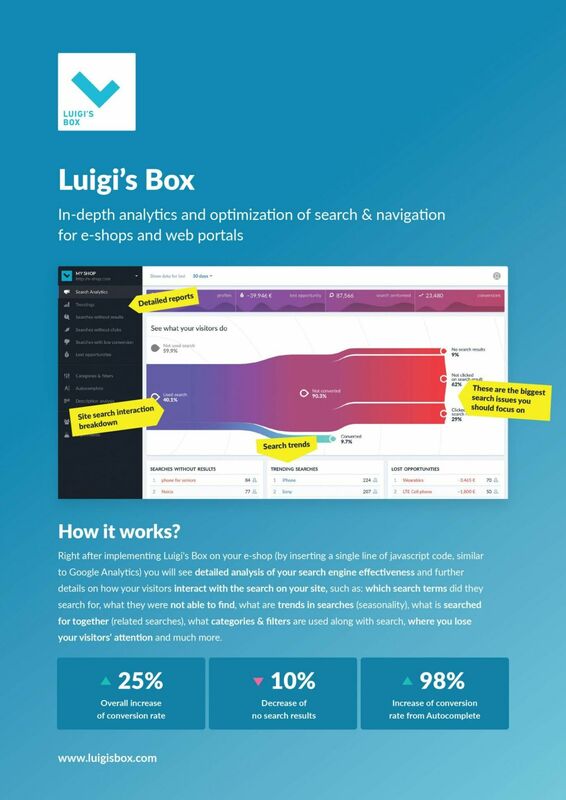 Luigi´s box collects search data on eshop. These data are for example: searchterms, search results, conversions etc. These data are used for search optimization (you can discuss directly with them how to optimize your search results) and for very specific and world unique Luigi´s product campaigns. Contact us: support@bluewinston.com and ask for Luigi’s campaigns!